These landmark buildings occupy a high profile trading position on the busy Quay front (N25) of New Ross, adjacent to car parking. Neighbouring properties including financial institutions, supermarket, hotel and licence premises. The buildings comprise of an imposing former bank building with granite façade together with a substantial 5 storey retail premises. A portion of the property houses the former Harbour Centre, a small shopping mall developed in the mid 80’s which comprises of 6 self contained units. 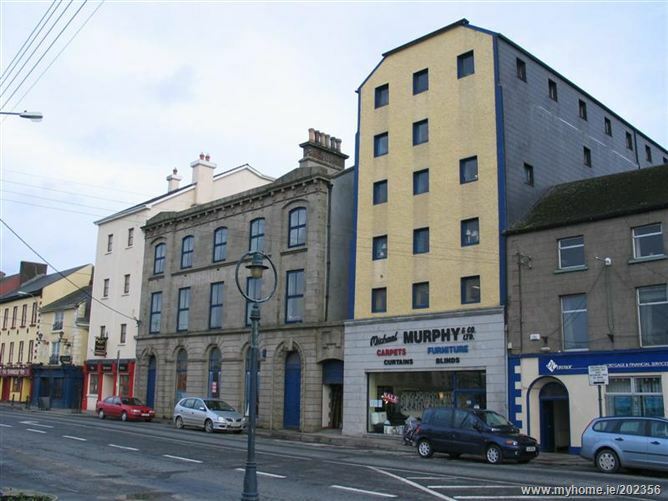 There is extensive frontage of c. 25m onto the Quay together with valuable rear access to the buildings via Super Valu car park.